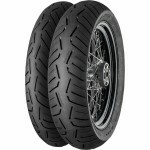 Here at 2Wheel.com, when it comes to the best parts & accessories, helmets, jackets, riding gear & apparel, tires, and everything else sportbike related, we have just about everything under the sun! And we offer the lowest prices online, so if you find what you’re looking for cheaper somewhere else, just request a price match and we’ll get that order on the way to you faster than you can blip your throttle! Are you a sportbike enthusiast or an experienced racer looking to take your gear to the next level? 2Wheel.com has everything to offer for beginner riders to seasoned experts who love the track. Be sure to check out our vast selection of Motorcycle gear and parts. With our blazing fast, free shipping you can choose from an extensive selection on our website and get it to your door fast with Free Shipping all orders over $49.00. 2Wheel.com continues to develop its technology to help better you find the products you want at unbeatable prices. Keep up to date with our Motorcycle Weekley section and subscribe for new product releases.